Zac Posen shares unseen images of Princess Eugenie wedding dress. 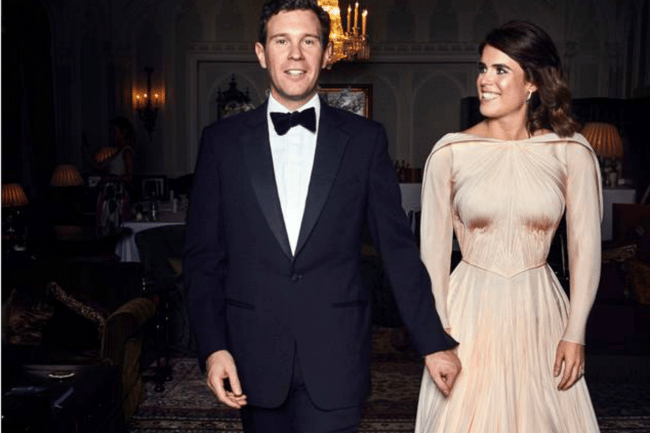 The designer of Princess Eugenie‘s blush-coloured gown that she wore during her wedding in October 2018 has shared a previously unseen image of the 29-year-old on her wedding day. The image portrays Eugenie standing on her side, with the designer Zac Posen showing off the sheer blush train of the dress, in admiration of the bride (and of the dress, too). “Every now and then you meet somebody who just knocks your socks off. This last year I got to know a young lady who possessed natural elegance, a heart of gold and sophisticated humor. My studio and I had the honor (and the best time) collaborating with her on her special gown. 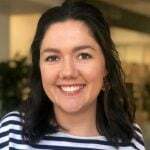 Best of all she is dedicated to using her privilege to help our world and its people with her project @the_anti_slavery_collective. Happy Birthday! @princesseugenie,” he captioned the image. The image was celebrated by a string of celebrities, such as Heidi Klum and Naomi Campbell, who commented on the image with love hearts. In November last year, the designer shared another behind-the-scenes image of the dress, which showed off the low back, designed to expose Princess Eugenie&apos;s scoliosis scar. It was the first time the public were shown the back of the dress. Princess Eugenie, daughter of Prince Andrew and Sarah Ferguson, wed 32-year-old Jack Brooksbank, an ambassador for fancy tequila brand Casamigos, at St George’s Chapel, Windsor in October last year. The bride and groom said in a statement that "Mr. Posen was inspired by the beauty of Windsor and the surrounding countryside. The choice of colour reflects the blush of an English rose. Mr. Posen took his inspiration from the White Rose of York. The pin-tucked plissé is cut on the bias and mixed with signature drapes. The White Rose of York is subtlety embroidered on both the shoulder and back which hold together the cape. The silk for the gown comes from the British Mill, Biddle Sawyer Silk." Designer Zac Posen described the opportunity to create the dress as "an incredible honour". "Her grace, elegance and strength perfectly embody everything I could hope for in a woman wearing our design." Eugenie wore the dress to one of three post-wedding celebrations, including a lunch hosted by the Queen and a carnival-themed afterparty which sounded like so much FOMO-inducing fun. Here&apos;s hoping she didn&apos;t spill any drinks on it.